This is one of the favourite photographs I have taken. 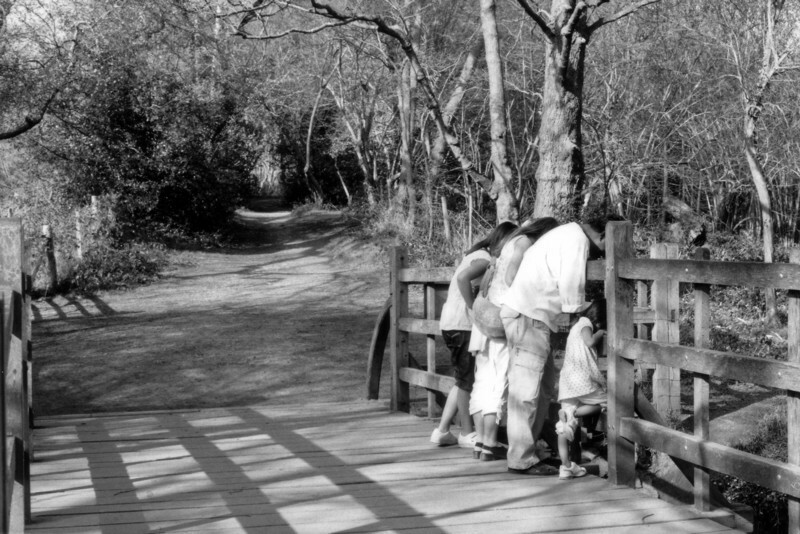 The family are playing 'Pooh Sticks' on the real Pooh Bridge in Ashdown Forest. I love the lighting, the mystery of the forest, the angle of the bowed heads and the leg of the little girl perched on the fence. I took this on Ilford FP4 film but this is a scan of a print as I have misplaced the original negative.